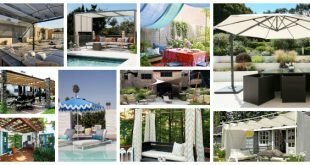 The weather invites us outside more and more and if you still hasn’t decorated your yard in the best possible way this article will get your imagination going and will make you wish you had a pergola. 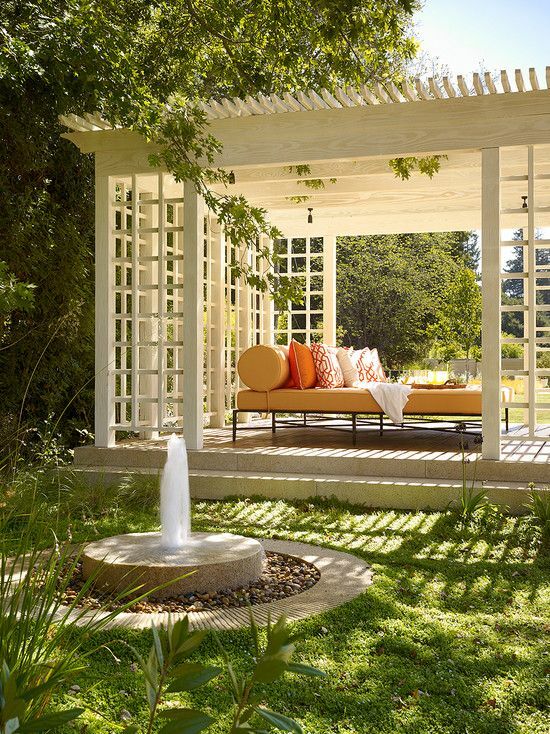 Pergolas are simply amazing and maybe it’s time you consider making one for you. 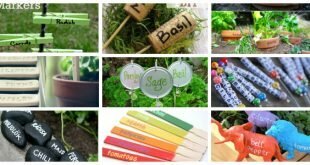 They will make the spring days amazing, and the summer nights great. 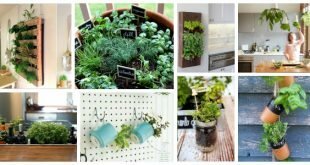 You can enjoy them during autumn too, so you will make the best use of them the whole year round. 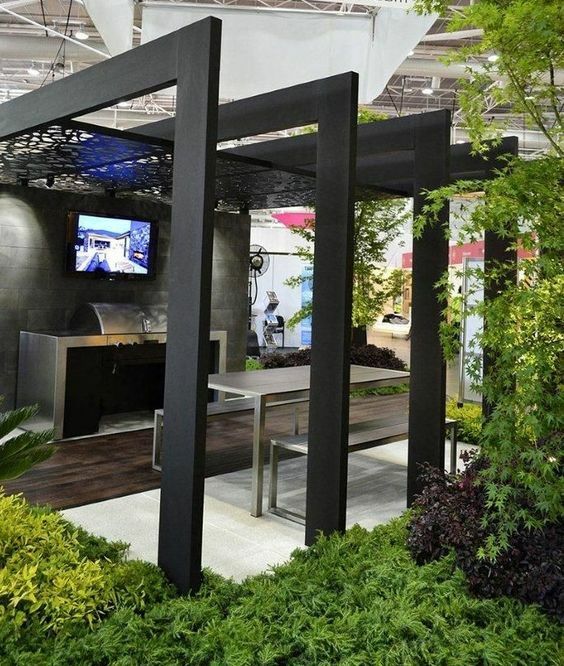 It’s definitely worth investing in a pergola design! 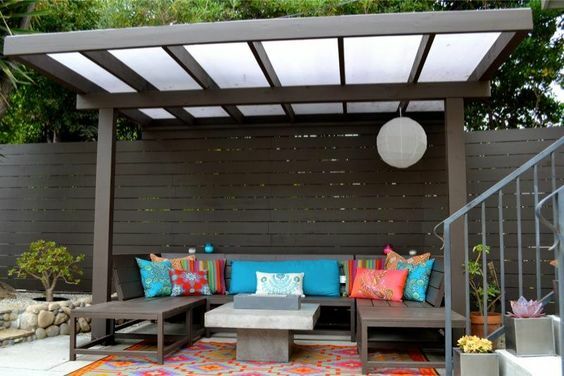 Decoration is very important for every spot of the home both indoors and outdoors, so if you are wondering how to decorate the pergola, stay tuned. 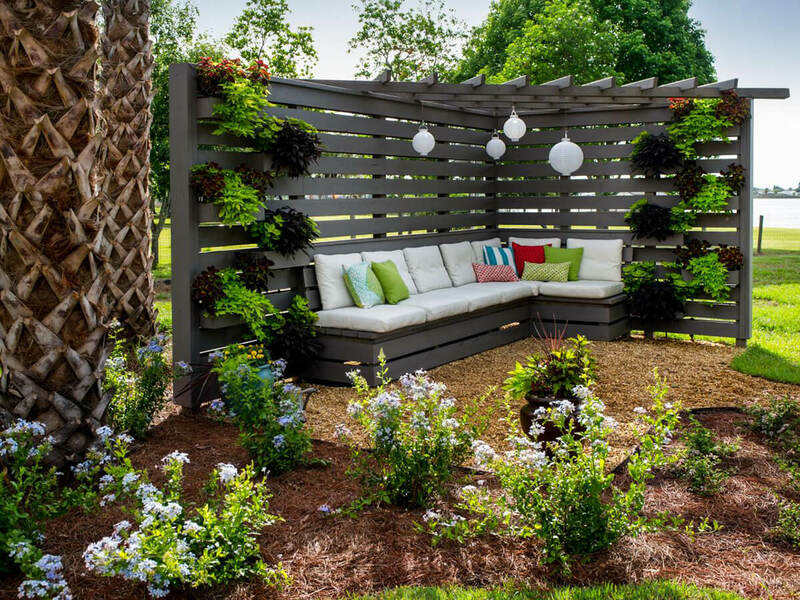 Here you will have the opportunity to see some Lovely Pergola Decor Ideas That Will Make You Fall In Love With It, so scroll down and don’t miss them! 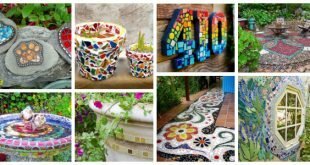 These decorations will make your pergolas so enjoyable that you wouldn’t want to get inside, believe me! 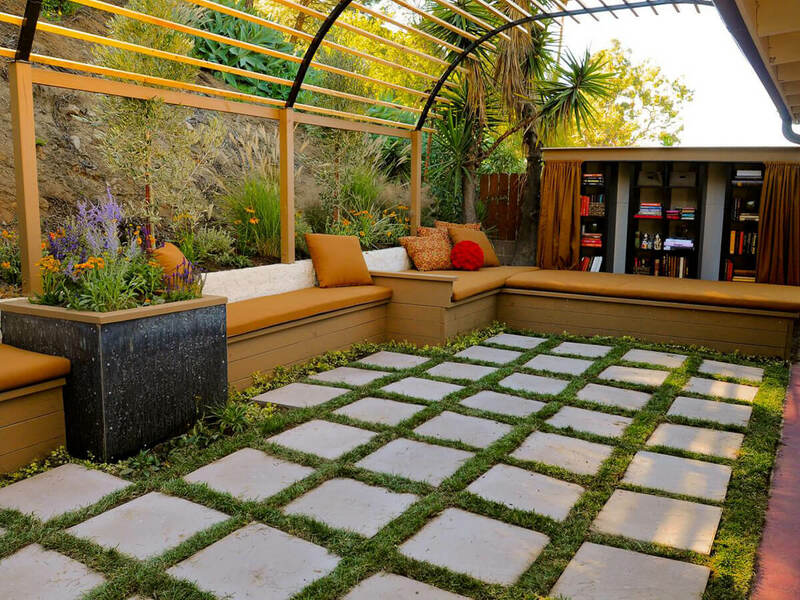 Decorative pillows will not only add color to your pergolas but will make them more comfortable and cozy. Add as much as you can of them and you won’t regret it. 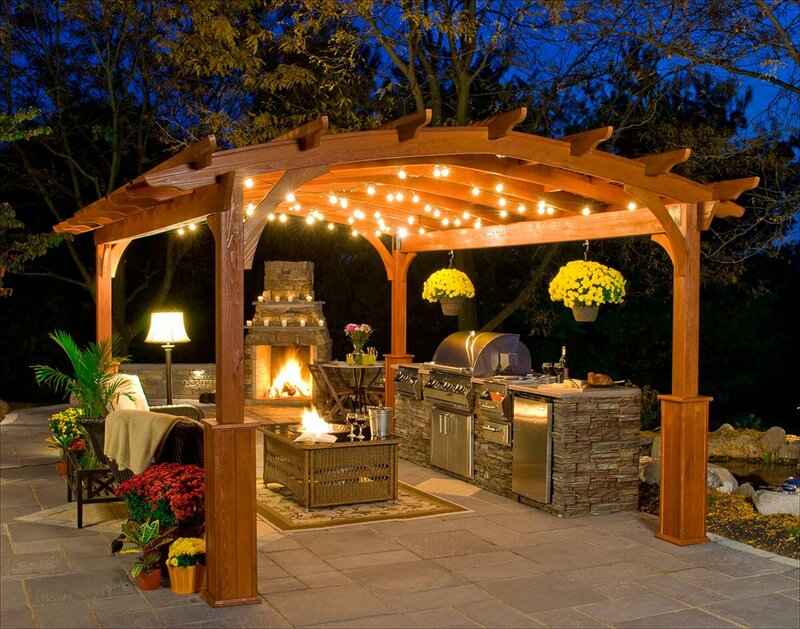 If you want to add a romantic touch to your pergola then the design below is just the right one for you. 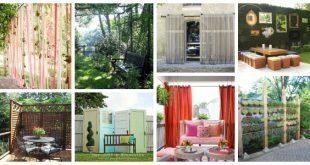 The white sheer curtains look amazing outside. 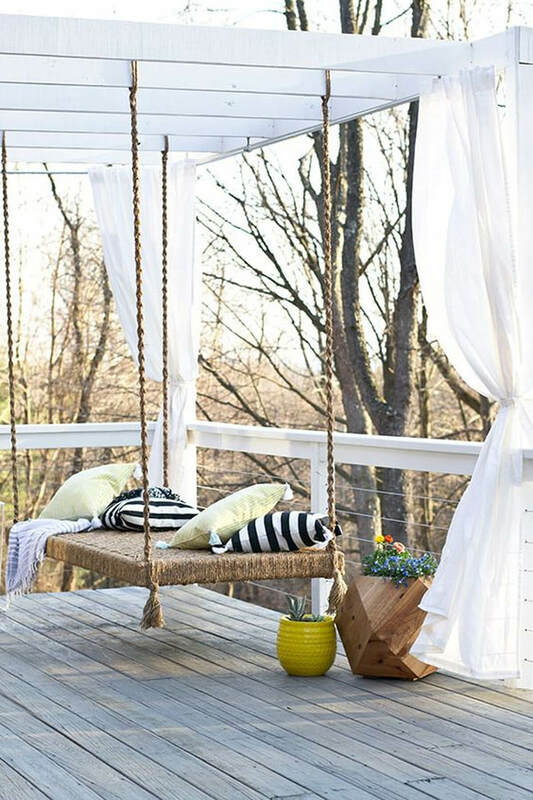 Can you already imagine the feeling that you will get when the wind blows? 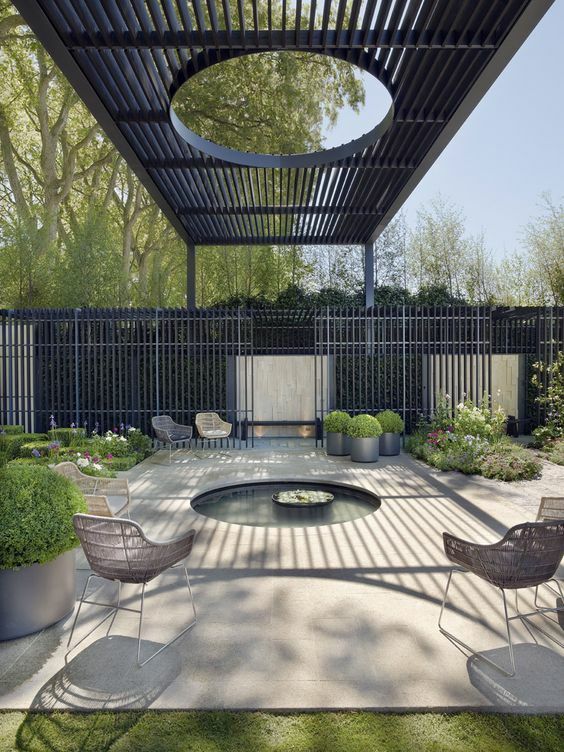 This is such a unique pergola design which has a water feature in the middle of it. 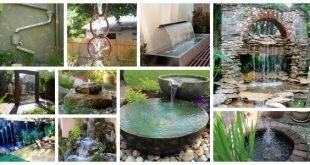 Water features are stunning, so you should think about one for sure! 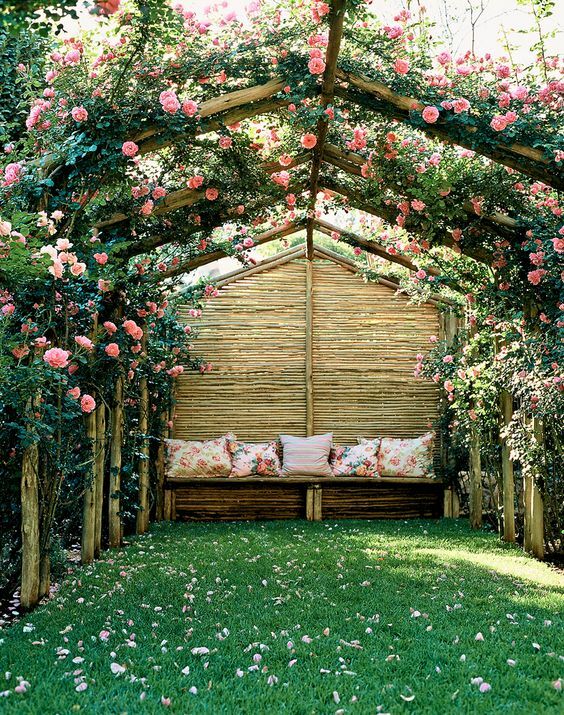 SourceWhat do you say about growing roses along the pergola? 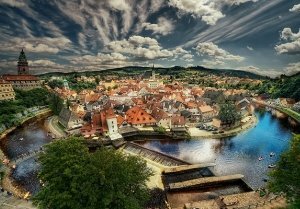 I’m totally in love with this one and can’t get it out of my mind. How about you? 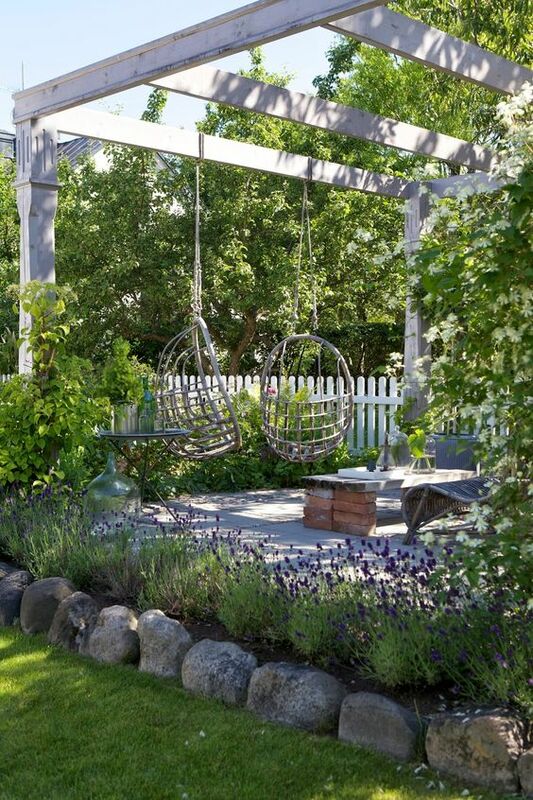 The swing chairs are a must for your outdoor area especially if you have a pergola! 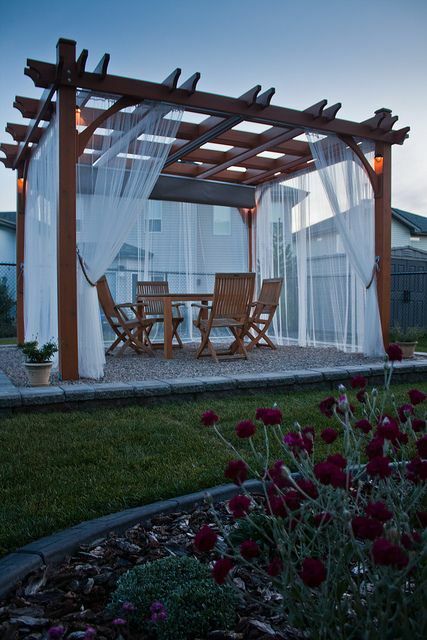 Do you plan to have huge gatherings in your pergola with your family and friends most of the time? 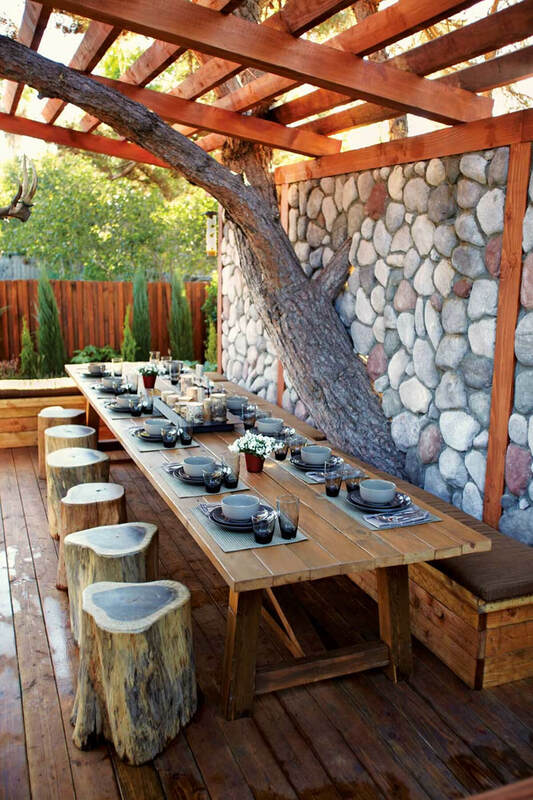 If yes, make sure you get a big dining table with lots of seating options! 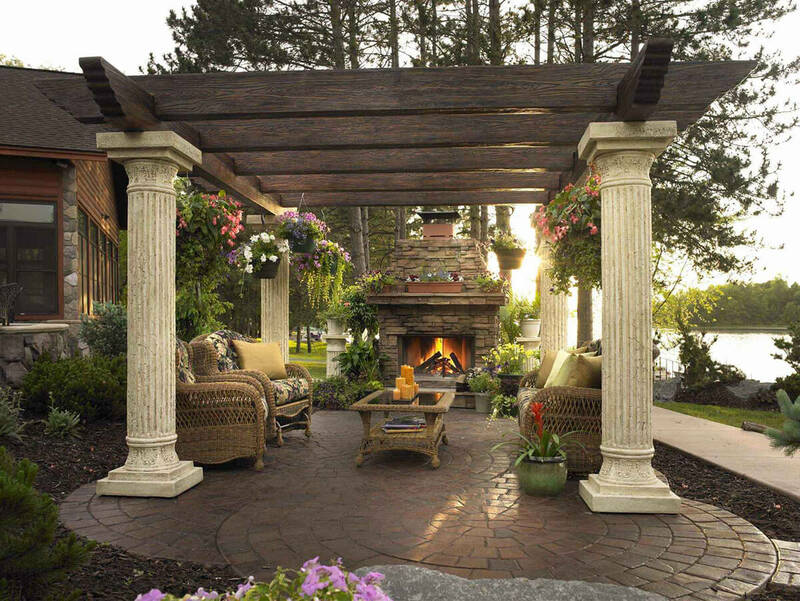 There are some details which can make a big difference with your pergola decorations, so choose them smart according to your preferences. Aren’t these lights totally amazing? 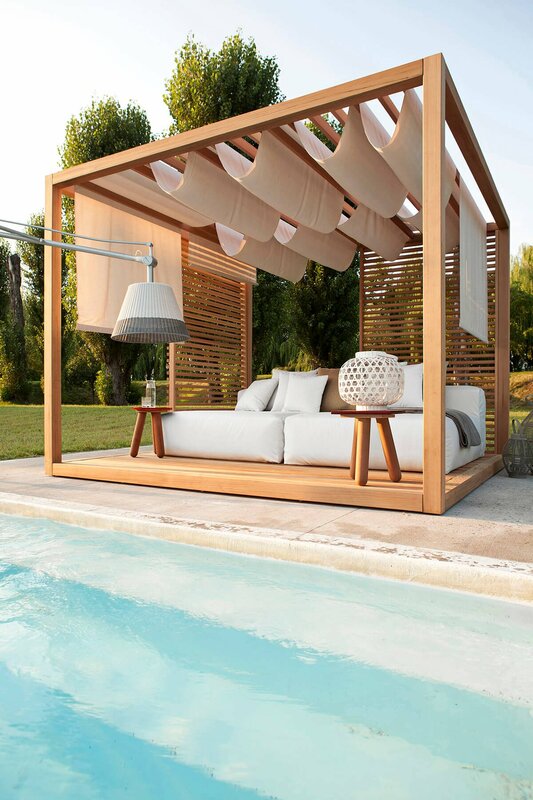 They will give you a nice ambiance and you will enjoy the nighttime in your pergolas! 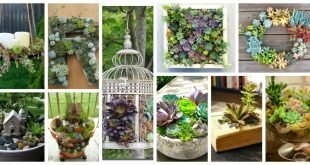 Pick the decorations that best fit your style for utmost enjoyment!